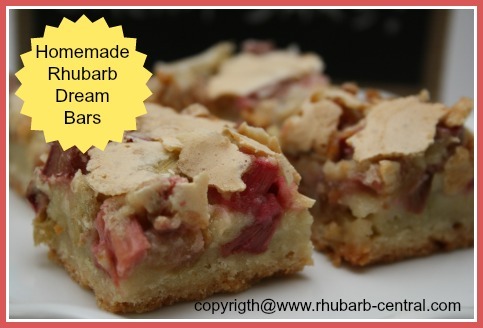 What can you make with 2 cups of chopped rhubarb? 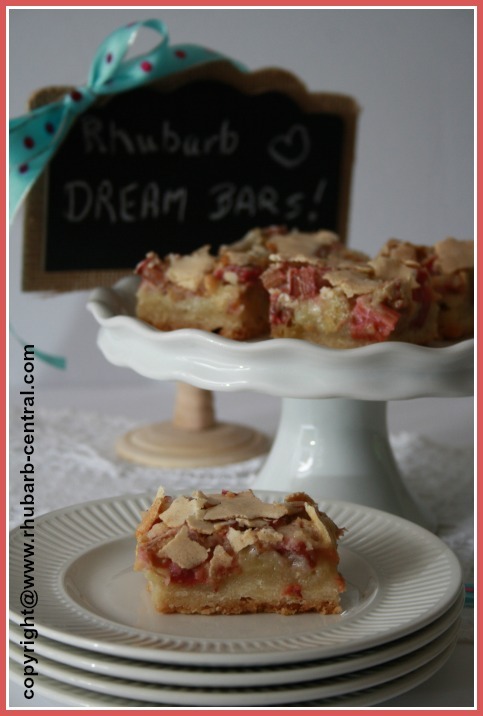 This Rhubarb Dream Bars Recipe! ... and it's simply scrumptious! 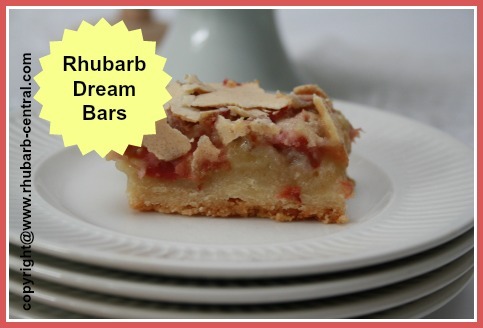 You need 2 cups of chopped fresh rhubarb to make this popular rhubarb treat! Line the bottom of an 8" x 8" glass baking dish with parchment paper, bringing it up the sides so that the bars are easily removed from the dish after baking. In a large bowl, using a fork, mix together the butter and the sugar, and then add the flour. The mixture will be crumbly. Press the mixture into the prepared pan and bake for 15 minutes. While the crust is baking in the same bowl, beat the eggs using an electric hand mixer. Add the sugar and beat until well mixed. Allow the mixture to stand for about 5 - 10 minutes and beat again. 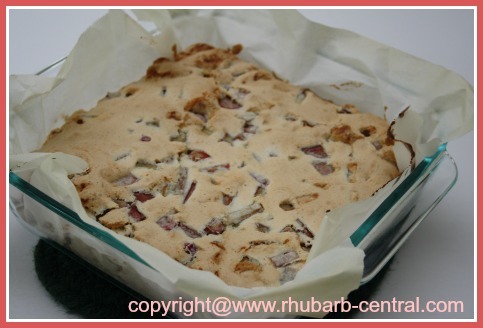 Using a spatula, fold in the chopped rhubarb. Pour onto the hot crust layer and continue to bake for 40 - 45 minutes, or until the top is lightly golden in colour. 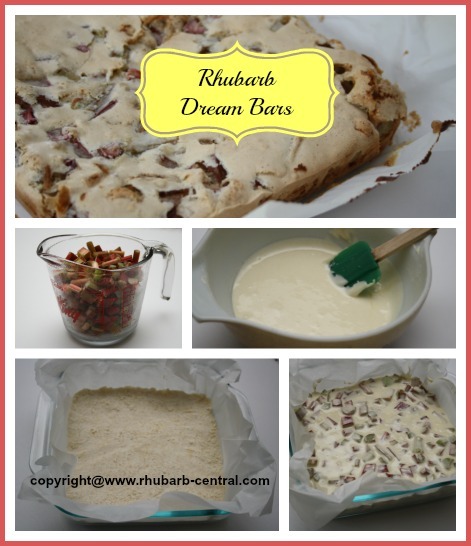 Remove the parchment paper and cut into bars using a sharp knife (if it helps, you can also dip the knife in hot water from time to time while cutting the bars).